A young journalist, Anna Vitiello, confronted with the shortage of providers investigates the disappearance of a physician she had known. Does punishing resolve our healthcare financial crisis or aggravates shortages of doctors? Is our justice system broken? Are abuses of power, prosecutorial misconducts, judicial oversights resulting in wrongful convictions and gracing perpetrators? Book: “A Monster Chase” #1 Best Seller in Medical Law and Legislation. This book is a collaborative effort between Marion Stahl, Anita and her family and professionals who assisted in understanding the long-term ramifications of trauma and how Anita was able to surmount them successfully. 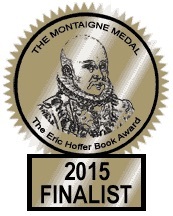 We are pleased to announce that “Anita’s Piano” has received a Montaigne Medal Finalist Award. The Montaigne Medal is given in honor of the great French philosopher and awarded to the most thought-provoking titles each year. “We thank you for bringing attention to this serious and growing problem.” Jane M. Orient, Executive Director, AAPS -American Association of Physicians & Surgeons. “A book worth reading: This story is especially timely now that the health care reform is being implemented… Michael Tanner, Senior Fellow, Health Care, Cato Institute. “The Monster Chase explores several issues facing healthcare professionals” D. McCorry, Health Policy Research at The Heritage Foundation, George Town University School of Medicine. Many are familiar with history’s recordings of Hitler’s abuse toward the Jews in concentration camps. Despite historical annotation, you are about to read a book based on the life of Anita Ron Schorr that shares a first hand account of her life where her innocence was stolen as a child as her family braved the “Pyramid of Hate” led by Hitler’s regime. I was reminded quickly how life and family dynamics can change from stable and loving to chaotic and uncertain. Author Marion A. Stahl did a wonderful job engaging the reader on Anita’s evacuation and several moves with other Jews that would ultimately lead to family separation and a concentration camp. As you trace this young life’s calamities beginning at age 9, you may discover in part as I did, that the human optimistic will to survive may be the most important ingredient in trauma. With family suicide being a choice for some, it was March 23, 1943 where the day of transport began and where home no longer existed. In detailed fashion will events capture and enrage you on how such injustices were allowed and carried out by those indifferent to human suffering. Taken more than 70 years for Anita to share her feelings, she recalls “I kept those memories locked up, feeling ashamed of them for much too long”. Discover the sad statistics of the number of prisoner fatalities. Though a melancholy plot there is a hope that has sprung from the ashes of life as today she lives to speak to audiences, empowering them. This book is history at its finest as you will gain the inside picture into both event and emotions. Sometimes in life losses can ultimately be gains in other avenues. I recommend this book with a 5-star rating as the contents will captivate you page after page. Anita has kept the attention of thousands in the last twenty years. Author Marion Stahl has captured her memories for a lasting message. The books about her dramatic childhood experiences during WWII are written for youth and adult readership. A teacher’s edition will soon also be available. The message of ‘Step in and Be a Hero’ coupled with ‘I would rather be a little nobody than to be an evil somebody’ by Abraham Lincoln, is illustrated throughout this book. Anita has received many recognitions, including ‘Movers and Shakers.’ More recently, she was awarded the ‘Exceptional Leader Award’ by Senator Richard Blumenthal, the ‘Distinguished Community Leadership Award’ by Governor Nancy Wyman, and the State of Connecticut General Assembly Official Citation. These recognitions were celebrated during the ADL Centennial Gala. 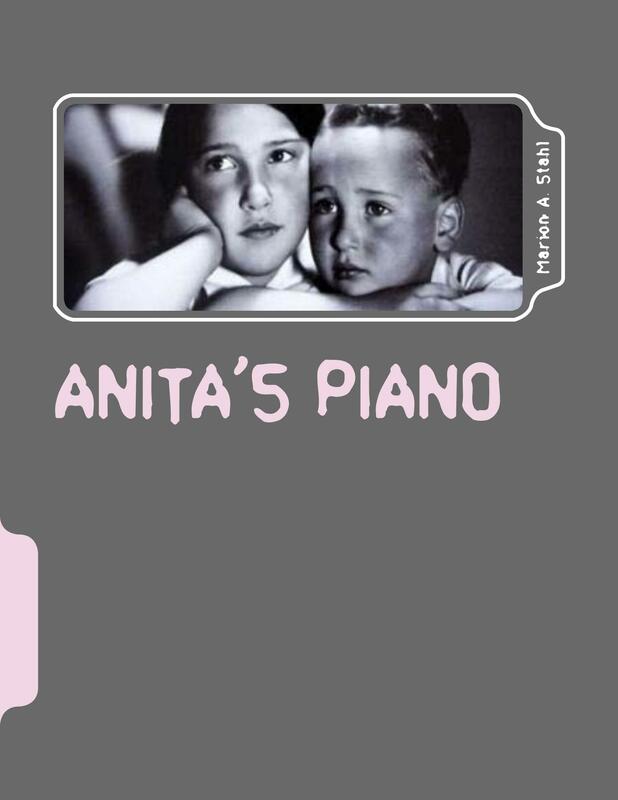 In “Be a Hero,” Anita has a beautiful life where playing the piano and music surrounds her. Her family lives in Brno, Czechoslovakia. She is nine years old when her town is invaded by German military forces. She sees her world slowly crumble. As the family is displaced time and again, she tries to come to terms with the horrible years that follow. An orphan at age 15, she is left to fend for herself. Young Anita Pollakova opens her heart and shares her fascinating life. She brings readers in a complex and riveting part of history. 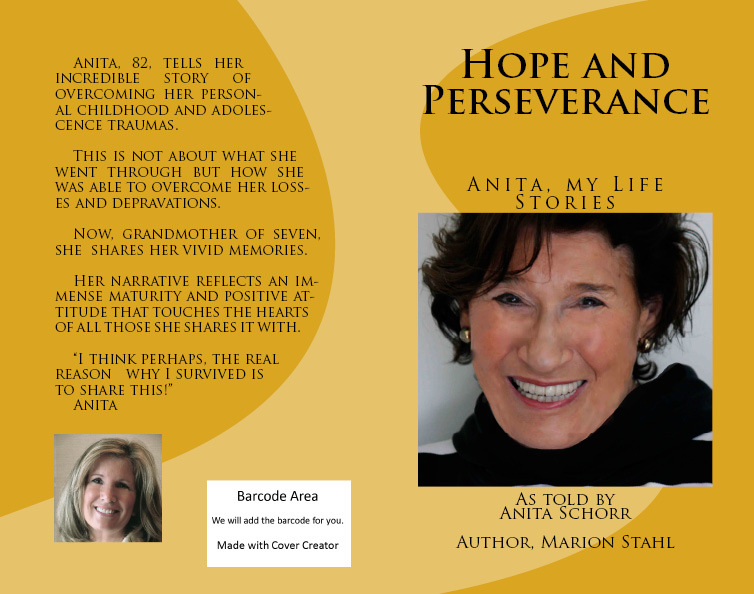 The author, Marion A Stahl was touched by Anita’s story and inspired by her mission to teach about bullying and social abuse. Marion embarked on the task to retrace events, paint surroundings, as well as beget the young girl to bring forth her voice again as well as her adult message. Stahl has a medical degree and specializes in writing about health-related topics. 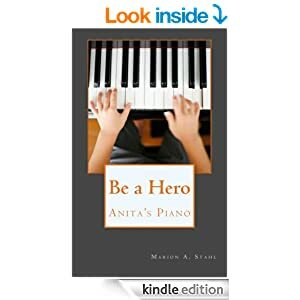 In “Be a Hero – Anita’s Piano,” she combines her loves of history and her professional background to help readers, especially young audience, explore the repercussions of harassment. “I was touched by Anita’s life story. This is a lesson about lasting damage caused by bullying or social abuse,” Marion Stahl. “Her narratives reflects a positive attitude and touches the hearts of all.” “Echoes and Reflections” – Anti-Defamation League. “If someone is being bullied or marginalized, she says: ‘Step in, Be a Hero. Don’t stay silent. Speak out. This takes guts, but it is what we must do as people.” – University of New Haven. “She was driven by a relentless need to survive so that she could share her story and ensure that the nightmare of prejudice and violence would never happen again.” – Josh Sayles, The Weston Forum. A novel that takes a new look at some of health care nightmares: This is a second novel for Marion A Stahl. She brings readers into an unknown zone of the medical and legal system. In “The Monster Chase” the author presents a young woman who is pregnant and unable to find a doctor to deliver her third baby. She also finds out that her beloved physician, Dr Quaile, has disappeared. As she is researching the reason for the disappearance, she is confronted with a series of real-life intrigues and discovers crucial information that explains the shortage of doctors she is facing. This book represents a fictional story, but is based on current events. It is touching on some of the serious issues the United States is facing with medical and legal issues. This book is intended to be an easy read but is educative and well researched. The author illustrates in the story these two known legal phenomenons: 1) The Rashmonon Effect or the effect of the subjectivity of perception and recollection by an observer of an event. Each viewer can produce substantially different but equally plausible accounts of that event. 2) The famous mass hysteria illustrated in the Salem Witch Trial and its wide-spread tragedy. Ms Stahl illustrates in this novel how these phenomenons may be very present today in our judicial system. This book addresses Health Care, Civil Rights, our legal system and on becoming a doctor today. Is our justice system doing a reasonable job with doctors? The story written by Marion A Stahl will unravel details and flaws in due process, hearings, and legal intricacies that can lead to injustice. These errors may have had a stronger impact on the availability of providers today, then we realize. Pub date: June 1st, 2012. Marion A. Stahl writes with rare vision and inspiration, bringing readers the story of the Holocaust through the lens of family. We meet Anita as a young child, amidst her idyllic life of home, family, and community. But as Hitler’s influence grows, the very fabric of their lives begins to unravel as one by one, the family is pulled apart. Anita finds the courage to navigate her changing world and is determined to find her family, to reunite the pieces she has lost.Marion manages to write with such a fresh and authentic voice, that I felt completely transported, as if I were viewing the Holocaust’s infamous events for the first time. Anita, now as an adult speaking to the next generation, says she wants to share her story so that people will stand up and speak out against oppression and bullying of all kinds. Marion has captured that spirit through this book. It’s an intimate and vital call to remember the past and carry its lessons into our future. This book is a first hand account of Anita as she survives the Holocaust. As you read the book, you learn about her happy childhood, her close family, and how WWII and the actions of Hitler ruined her entire family. The unimaginable, spending part of her childhood first in the ghettos, then in the concentration camps, is captured in Anita’s gripping tale of survival. Never had I read a book that helped me appreciate the life we have now and feel so grateful for it. I think Anita’s story, as written by Marion Stahl, should be required reading for students in schools to remind children and adults alike that humans have the capacity to be the worst they can possibly be when they act out of hatred, and they have the capacity to be the best they can be when they act out of love and caring, and that it’s important for each of us to choose the latter.